Do you suffer from chronic pain and want to avoid costly and potentially addictive pain medication? Then you may want to consider getting an electronic pulse massager. Electronic pulse massagers use low-level electronic pulses to stimulate your muscles. This makes them an invaluable tool in muscle rehabilitation and managing occasional or even chronic pain. Unsure of whether an electronic pulse massager could help you? Here are five reasons why you should think about picking one up today. This is the number one reason for getting an electric pulse massager. Over 25 million adults in America suffer from daily pain. One answer to relieving that pain could be through the use of pulse massagers. The electronic-pulses stimulate your muscles causing them to contract. This works-out your muscle without causing you any extra pain. So, how does this relieve pain? They heal and strengthen damaged or weakened muscles. On top of that, the contracting of your muscles also releases endorphins into the body. Endorphins are a natural painkiller created by your body which comes with zero side effects. Unlike prescription painkillers. Muscle atrophy is the decrease in muscle mass. It often occurs after an injury or one of several medical conditions that prevent normal physical activity. An electrical pulse massager can help slow down or even completely prevent muscle atrophy. It does this by keeping any weakened muscles active through electric stimulation. Electrical muscle stimulation is often used during physical rehabilitation after an injury. Some injuries can leave certain muscles unused for an extended period of time or even affected the brain in some way. An electric pulse massager could help you get your muscles back into tip-top shape by re-educating them. The forced contraction through stimulation rebuilds basic tone and strength. All while also strengthening the cognitive link between your brain and these movements. With all their wires and pads, an electric pulse massager can look like a complicated medical tool. But in reality, they are pretty straightforward and easy to use. You put the pads on whichever muscle needs work and sit back. The machine will take care of everything else. Most modern units even come with easy to read screens and built-in programs, taking any and all unnecessary guesswork out of your therapy. Using an electronic pulse massager to manage your pain is like undergoing physical therapy. When used in moderate doses and in the correct way, there are zero side effects. These methods both allow you to heal and strengthen your body by using your body, so you can get back to living a pain-free life. No strings attached. Unlike physical therapy, you only have to pay for a personal electric pulse massager once. On top of that, you can use it right in the comfort of your own home. Prescription pain medications, such as opioids, can be expensive. Not to mention the risks of misuse and addiction they carry with them. Electronic pulse massagers could offer you a safer and more cost-effective way of dealing with your pain. They are a mainstay of most physical therapy offices the world over. The best part? You don't even need to leave your home to enjoy one. Electronic pulse massager, as well as other handheld massagers, are vital tools in maintaining your health. 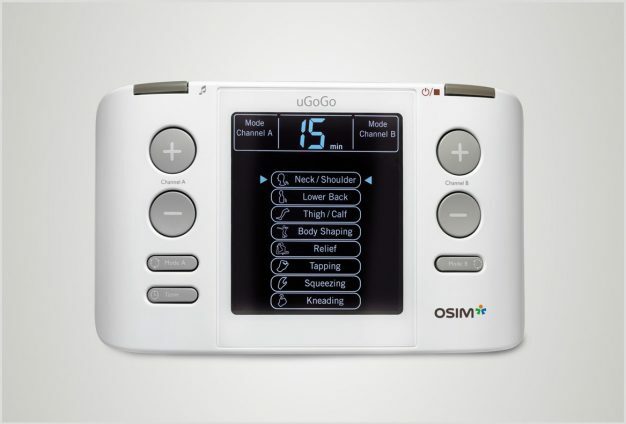 Looking for the perfect massage tool for you? Visit us online or in store, and let us help you find all of the tools you need to keep yourself at your best.